It is also the most open-ended of the bunch. This makes it a great opportunity to showcase something about yourself that the other seven prompts don’t offer. It also makes it critical to focus your answer. Students will share a complete picture of themselves with the UCs by the four questions they write about. They can start by brainstorming topics for their other three mini-essays first, and use Number 8 last to come up with a final topic about themselves they haven’t included yet. However, I believe that brainstorming ideas for this last prompt 8 FIRST is a great way to spark ideas for the other seven prompts at the same time. Whichever works best to get those ideas percolating! The approach I love to brainstorm topic ideas for any personal-statement essays (like UC Prompt 8) is to first identify a short list of your defining qualities, characteristics or values. Then you can move on to brainstorming a specific moment, event or experience from your life to illustrate that key part of yourself. These new University of California essay prompts (aka Personal Insight Questions) are each relatively short: no longer than 350 words. This amounts to two substantial paragraphs, or three shorter ones. To keep a strong focus in your mini-essay for Prompt 8, make sure to pick only ONE core quality, characteristic or value to highlight. Then start fleshing out your ideas and related experiences about it. Look for one specific example that will support the point you want to make in your essay. For example, try to think of a “time,” or experience where you did something that helped you stand out. That way, you show yourself in action standing out, rather than simply explaining how you do it. Start your Prompt 8 essay with that example to engage the reader. Use the questions the University of California admissions department provided with each Personal Insight Question, as well as the excellent related worksheet they shared on their web site (see below). Nothing else can tell you exactly what they want to learn about you in this essay! If you already have some ideas of what you want to write about in your other three mini-essays for the UC, check to make sure that this Number 8 essay explores or shares something different about you from the other three. Some students might know immediately what sets them apart from everyone else. If that’s you, go for it and trust your instincts. Maybe you have one blue eye and one brown eye. Yes, that’s different. Maybe you are a champion yo-yo expert. Yup, that’s unique, too! Maybe you are the youngest of five girls. Also, unusual. But if you are like most students, you might not have some odd, abnormal or bizarre component to your life. You can still find something that is unique to you. Start with one of your defining qualities, characteristics or values—and find an interesting moment or “a time” that can serve as an example of it. Start by writing several sentences about each number, and you will end up with a rough draft before you know it. That’s the hardest part! Don’t worry if it’s one long paragraph. You can go back later and divide it into two or three shorter ones that make sense. Trim it down if it’s over 350 words. If you recounted “a time” to illustrate your quality, characteristic or value at the start of your essay, make sure that specific example doesn’t take up too much of your piece. Usually, you can condense that into only two to three sentence, and move on. The most important part of this essay is how you explain why that unique part of you is important, and how it will help you thrive at a UC and tie into your personal and academic goals. The UC provided a worksheet to help students brainstorm ideas for these essays. Don’t be afraid to brag a little. Even if you don’t think you’re unique, you are — remember, there’s only one of you in the world. Lots of things can influence who you are, such as your experiences, family, interests and values. Here are a few lists to help you get started. What do you value in your life? What’s important to you? Does anything overlap? Is there one thing that stands out? Are there any that you would want to share more information about? Just remember, once you get an idea, make sure to focus your essay with a specific example. Do you notice that this exercise is essentially trying to help you identify a core personal quality, characteristic or value? The UC uses other words for these, such as your personality traits, passions, what you “value in your life,” or “items or possessions” you cherish. It’s all the same stuff. Just pick ONE good one, find a specific example of it, and write on! There’s also a strong chance that you might flesh out great topic ideas for the other 7 mini-essays by going through this brainstorming process for Prompt 8! Collect ALL your ideas, and then sort through them to see how they line up with the prompts. Remember, the best way to give admissions officers at the UC a clear picture of you is to paint four SPECIFIC and CLEAR smaller images of parts of you in each essay. If you try to cram in too many ideas and points into each essay, the picture grows muddled and murky. This short presentation can help you learn How to Write a Short Essay, such as these short UC essays that need to be fewer than 350 words each. 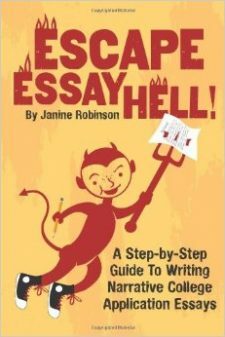 If you need more help with these, I offer tutoring and editing services on these and other application essays. Learn more on my SERVICES page. I’ve been thinking of writing this essay question about the fact that I value success and strive to be successful. However, I wrote about my persistence in essay question 6. Would you say this is a good topic to write about and does it overlap with question 6? I have a couple of traits I can think of but I’m afraid I don’t see how they would show that I belong on a UC campus. As cited above, unique color eyes…other than being noticed and thinking “cool”, I cannot imagine how it would help with future personal or professional goals. Where did you get accepted to? I’m thinking about writing this essay question with the thing that sets me apart is my compassion. I’m worried that it’s not unique. Do you think it’s essential to have an anecdote? Any advice? I wanted to write about how I am first generation American, both my parents are immigrants and I have been independent considering they do not know much about this country. Would this work or no?